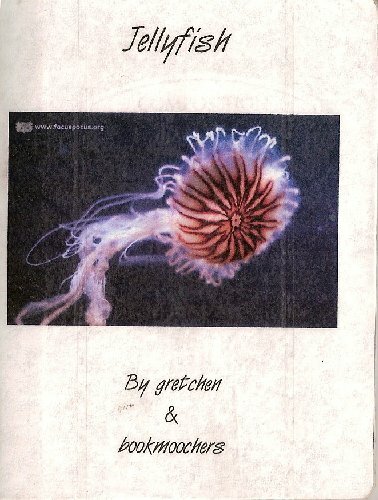 Jellyfish is a BMJournal dedicated to pictures, drawings, fiction, poetry, and any other creative endeavor related to jellyfish. Jellyfish are beautiful, dangerous creatures. Made mostly of water, these fascinating sea dwellers glide like ghosts through the waves. 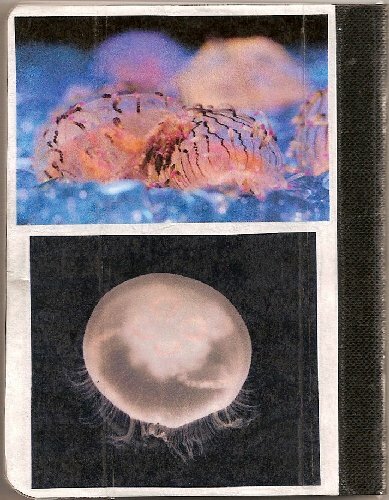 This journal is the place for you to share anything you want to about jellyfish. Stories, memories, pictures, poems, drawings, decorations, whatever you want! Decorate a few pages with your thoughts. When the journal is full and complete (or no one else seems to want it), please contact me (BM username: thegretchen) and I will mooch it back. Marked lost in the mail 2009. This book was marked as lost in the mail.